Those using the World War II draft registrations should remember that these registrations included in databases on FamilySearch, Fold3.com , and Ancestry.com ( published as “U.S. 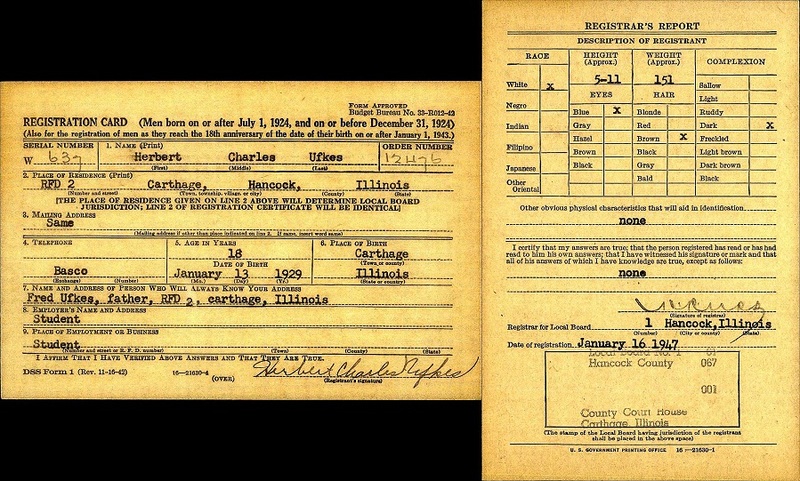 WWII Draft Cards Young Men, 1940-1947”) include registrations through 1947–after the war was over and include men who reached 18 through that point in time. The registrant in the illustration reached 18 in January of 1947.